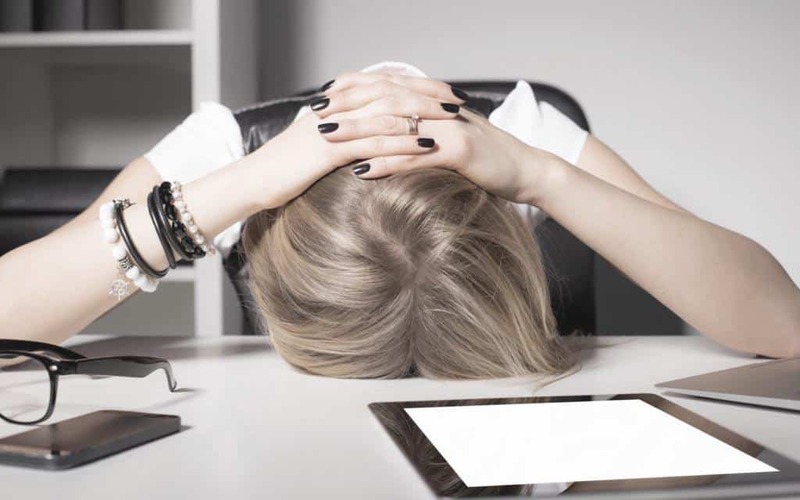 Unfortunately this is something we all have to face- the dreaded aging. However, it doesn’t have to be dreaded. Using the right products along the way can make all the difference in how your skin ages, how it looks and how you feel. Using the wrong products will actually make your skin appear older than it really is. 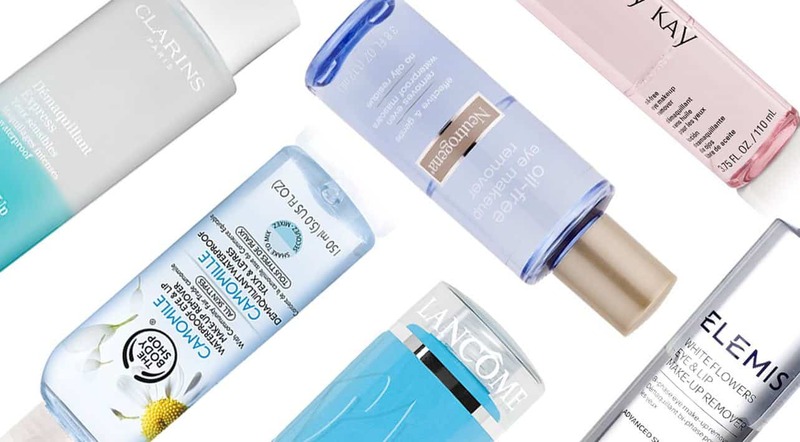 We’re lucky because in 2019 we have amazing anti-ageing products. Do you want the best foundation for aging skin? 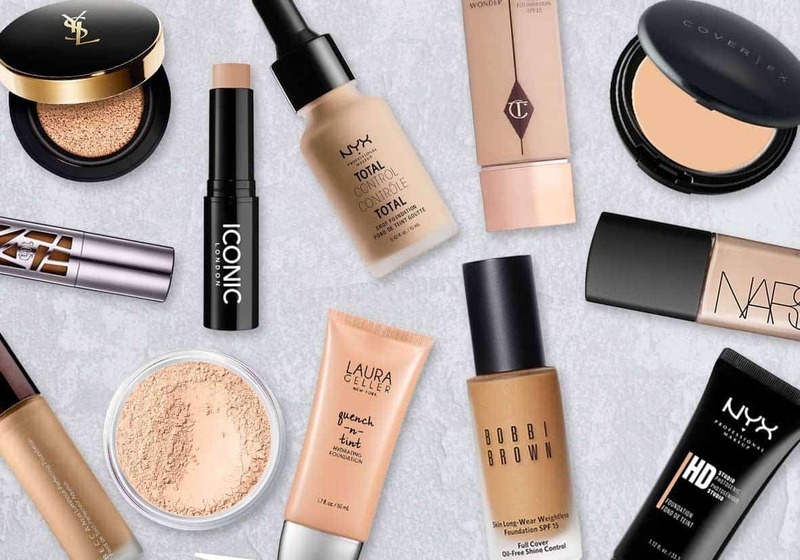 Continue reading to find the best foundation for you and your skin. As you get older, your skin loses moisture and elasticity. This means its drier and this creates wrinkles and lines. The best way to avoid this is to use products which will add that moisture back into your skin and this is something that anyone can do! When choosing a foundation, avoid heavy foundations, instead, stick to lightweight ones with light to medium coverage. It’s best to use a liquid foundation because powders tend to set into fine lines and exaggerate any lines that are there. 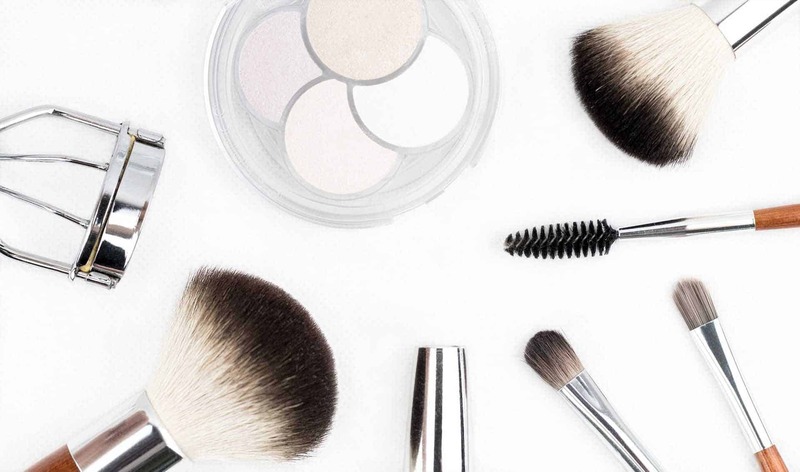 Using the right foundation isn’t the only trick to reducing lines, prepping your skin correctly and using the right tools is also a must. Don’t forget to moisturise your face regularly, once in the morning and once in the evening. Exfoliating regularly will also help to keep your skin young and wrinkle-free. If you don’t exfoliate the dead skin stays trapped and that creates extra lines. I recommend exfoliating twice a week. If you find the foundation you’re using is slightly too dry for your skin, a clever trick to correct that is to mix your foundation with your moisturiser before you apply. I love the effect, it makes your skin look soft and dewy the whole day. Mix up the way you apply your foundation if you are using a brush try out a blender or your fingers. Alternatively, you can try out using a moist blender or brush. Different application methods can give completely different results. What ingredients are good for aging skin? The natural oils in our skin decreases as we get older. This dries out our skin and creates wrinkles. By using the right products and ingredients we can slow the process and help our skin stay younger for longer. Below are the ingredients that you should look out for when purchasing skin care products. Retinol– Retinol is a form of vitamin A and its an antioxidant. It reduces the signs of aging by increasing your cell count and elastin production, this helps to improve your skins texture, fine lines and sagging skin. This is one of the most important anti-ageing ingredients to look out for. Alpha-Lipoid Acid– This is another major antioxidant and contains many including coenzyme Q10. It is great for reducing inflammation which in turn reduces your skin from raging. Alpha Lipoid Acid can be taken orally as well as it being found in skin products. Green Tea Extract– Green tea contains polyphenols that are found in plants. They help with skin regeneration as well as reducing sun damage and the breakdown of collagen. Vitamin C– Packed with antioxidants it increases collagen which strengthens your skin and reduces line and wrinkles. Vitamin C also protects the skin from harmful UV exposure. Hyaluronic Acid- This helps to reduce any fine lines and wrinkles from your skin. It does this by retaining the moisture in the skin. 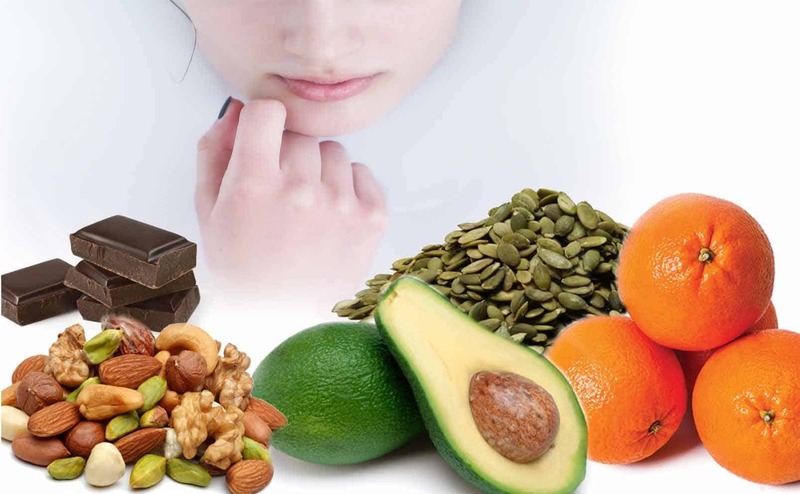 These are just a few of the many ingredients that can help your skin age slower and appear younger. Look out for them in all your skin care products and you will see a huge difference. 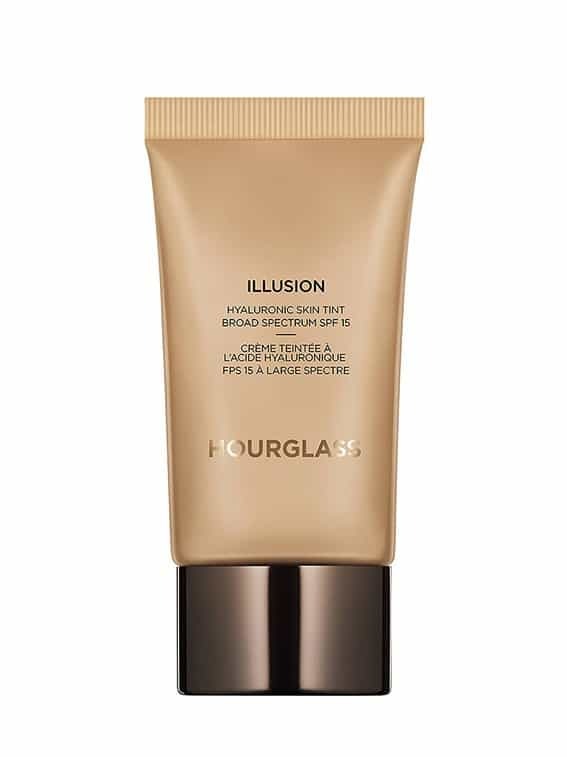 If you want to hide your lines then you need to try the Hourglass Illusion Hyaluronic Skin Tint. It contains hyaluronic acid which plumps up and tightens your skin. This reduces fine lines, sagging and wrinkles. It’s called a tint because it’s somewhere between a foundation and a tinted moisturiser. The advantage of this is that its extremely lightweight and easy to wear. Because of its moisturising factors it is not at all drying on your skin, this helps your skin look younger. The foundation gives a medium to full coverage and will leave your skin with a luminous, beautiful glow. If you want to keep your skin looking young and smooth, protecting it from the sun is a must. That’s why the Hourglass Illusion Skin Tint comes with SPF 15. The foundation comes in 12 different colours, each one is designed to give your skin a natural glow. 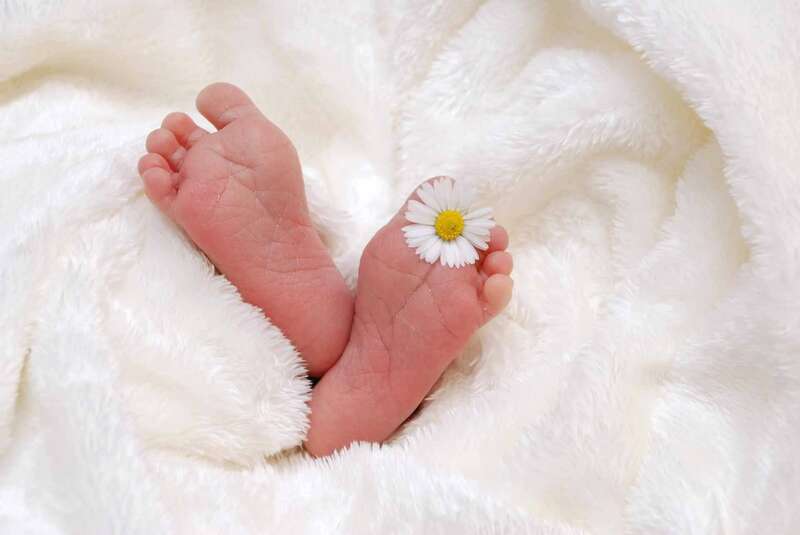 It is formulated without parabens, fragrance, gluten, sulphates, Nanoparticles, Phthalates, Synthetic Dyes and GMOs. Hourglass is a cruelty-free brand. This foundation is perfect for anyone with normal, dry or combination skin types. This foundation is perfect for you if you have fine lines and wrinkles. The Hourglass Illusion Skin Tint will reduce those lines as well as plump up the skin and make it firmer. You will also notice how radiant your skin looks thanks to their special formula. This foundation is unique because it comes with its own sponge applicator- the Patented Micro-Corrector Applicator which is attached to the foundation.This is a lovely feature, it makes the whole process simplified. With this applicator you can apply your foundation easily with one hand. The Micro-Corrector smoothes and fills any imperfections. To use, simply twist and apply in circular motion. To clean the sponge you can simply wipe it with a tissue. Do not wet it as it will ruin it. And don’t worry about it getting mouldy, the sponge is protected with an anti microbial system. Its made out of some good stuff. The foundation is formulated with collagen and Goji berry. Goji berries are filled with antioxidants and have a ton of Vitamin C. This stuff will look after your skin and help to reduce any lines. The use of collagen helps to tighten your skin and improve the elasticity and this is what makes your skin younger. This foundation is so great that it’s actually clinically proven that it makes you look younger. Why not check it out for yourself?! The Maybelline Instant Age Rewind Eraser Treatment has an SPF 18. It also comes in an Instant Eraser Concealer for under the eyes which pairs really nicely with the foundation. This is good for anyone who’s looking for a cheap, lightweight foundation that will help to reduce the appearance of fine lines, wrinkles or any pigmentation. 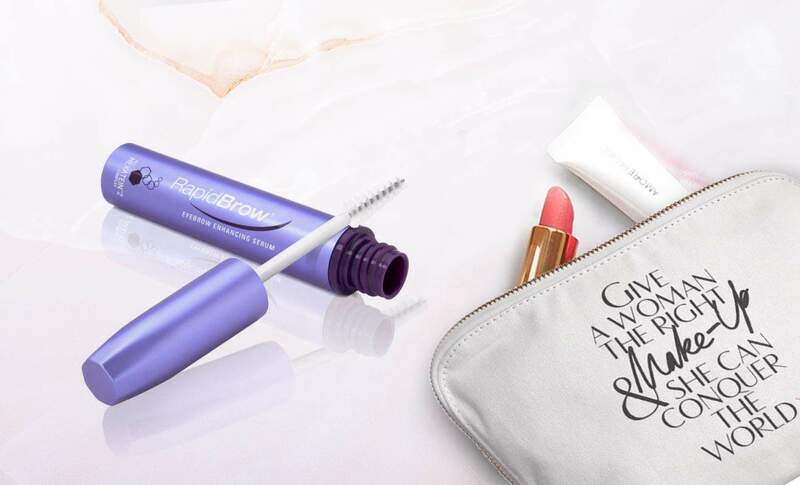 With its super easy sponge applicator, its hard not to love it. This foundation has an amazing combination, it is extremely lightweight, yet at the same time is it a full coverage foundation which is also buildable. This is called getting it right. Each drop of the foundation will go a long way so although it’s expensive, it will last you a long time. Once wearing the foundation, it will last you up to 10 hours of good flawless wear. The colours have a really nice balance in colour, they are not too red yet at the same time not at all yellow. If you want some serious firming then this is the foundation for you. 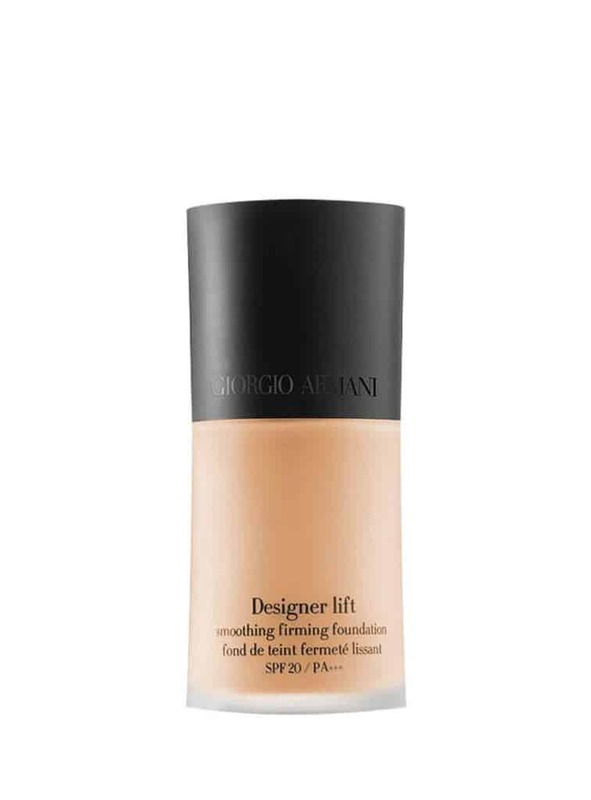 Using Armani’s Micro-fil™ technology the foundation instantly lifts, softens and firms the skin. When you wear it you will feel that your skin is tighter, firmer, more radiant, and that you look younger. Basically a whole lot of good, you can’t really go wrong with this foundation. This is for anyone who enjoys the finer things in life. The Giorgio Armani Designer Lift Foundation looks, feels and smells expensive. While the foundation may not change your actual skin, it definitely will make your skin look younger and healthier when wearing it. It’s like moisturiser, serum, and primer—wrapped in a colourful bow! About a year ago, Revlon upgraded their Age Defying Foundation to an Age Defying 3X Foundation. The formula is a lot better and so are the results from wearing it. Revlon Age Defying 3X Foundation comes in 12 different shades, this isn’t a huge range of colours but just enough to get by. It comes with an SPF 20. The foundation has medium coverage and it is very buildable. It is not too heavy, but it can feel a little sticky. I do recommend using a setting powder with this foundation. It will keep any shine at bay. The finish is a subtle glow and a bit dewy. As we age our skin naturally loses moisture, with the Revlon Age Defying 3X Foundation, you are adding all that moisture back in. The fact that the foundation is dewy and can feel sticky means that it’s doing the right thing for your skin. So don’t be put off by it. While the foundation doesn’t blur lines, using it’s unique Tri-Shield Technology it won’t set and enhance any lines or wrinkles. The perfect tool to hide it all. The foundation has an SPF 37, this is a lot higher than most foundations. 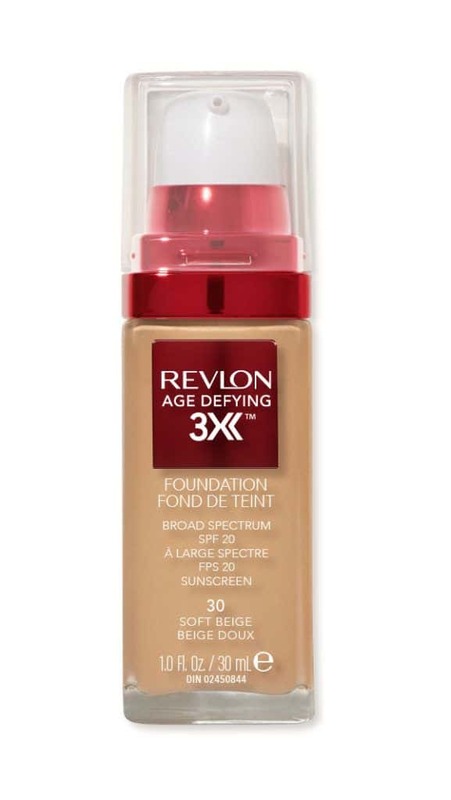 The Revlon Age Defying 3X Foundation is loaded with moisture. This makes it ideal for people with dry skin who need that extra moisture and hydration. If you have aging skin, this foundation is worth a try. It’s affordable, lasts all day and will hide your imperfections. I highly recommend it. It is called Smart Shade Anti-Aging Skintone Matching Makeup because that’s exactly what it does. After you apply it to your skin and it dries, it will change to match the colour of your skin. You may have to wait a few minutes to see the final colour. You can say goodbye to not getting your foundation colour right, with this foundation you can’t go wrong. It does all the hard work for you. It dries extremely natural looking, you won’t even notice that you’re wearing foundation, yet your skin will look flawless and smooth. The anti-aging ingredients will help to smooth out any lines and wrinkles in the most unnoticeable way. Be prepared to be pleasantly surprised. It will last you all day and guess what, it’s highly affordable too. Almay Smart Shade Anti-Ageing Skintone Matching Makeup comes in 6 shades and with an SPF20. You don’t need many shades because this magical foundation will do the matching for you. Doesn’t that make it easy? 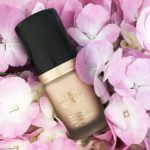 Choosing the right colour can sometimes be difficult, however, with this foundation it couldn’t be easier! This foundation is for anyone who’s after a really natural look. The bonus is that it’s anti-ageing and it really works. It is really easy to use and really affordable. Another great foundation to help you look younger. After only one application, I was hooked! Neutrogena are pros in skincare so when they claim their foundation will help you stay young, you know you’re onto something. The foundation is lightweight, not greasy and has an extremely natural coverage. Check, check and check, all the things you need in an anti-ageing foundation. It is packed with antioxidants and good for you ingredients. The foundation is made to tone and add luminosity to your skin and it does that beautifully. It has an SPF 20. Even though the foundation has a natural coverage, it still covers and evens out the skin really well. When wearing it you barely feel it’s there, there’s no sticky or tacky feel to it. The foundation comes in 14 colours with a nice range of shades, from very light to pretty dark. 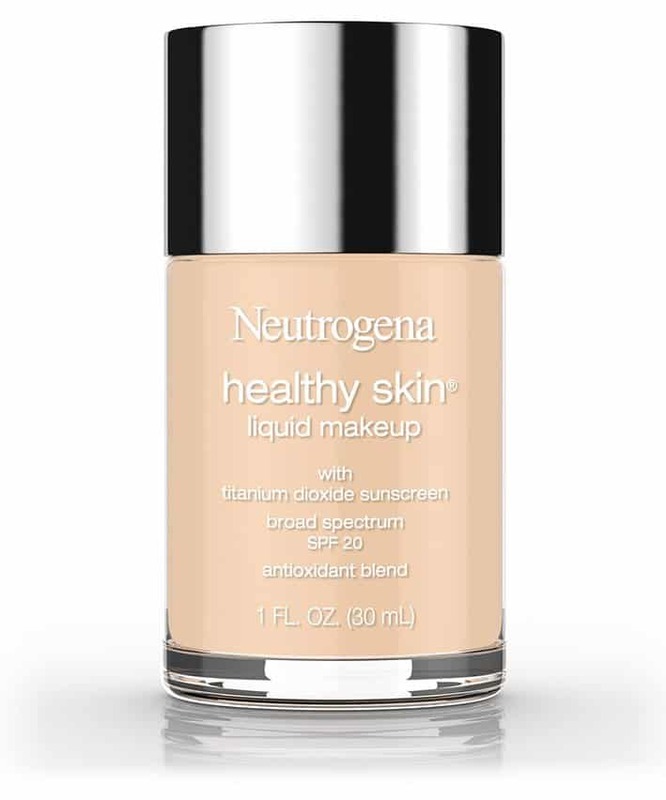 The Neutrogena Healthy Skin Liquid Makeup is really good for sensitive and dry skin as well as combination skin. It will plump up and hydrate your skin and the results will last even after you remove your makeup. This is perfect for an everyday ‘no makeup’ look. Clarins has always been a brand I can trust. They have good products which usually do their job just right. The Clarins Extra-Firming Foundation is oil-free and its made with their own Clarins Light Optimising Complex and oat sugars to reduce the signs of aging. It has a natural finish with a light to medium coverage and it is easy to build on it. 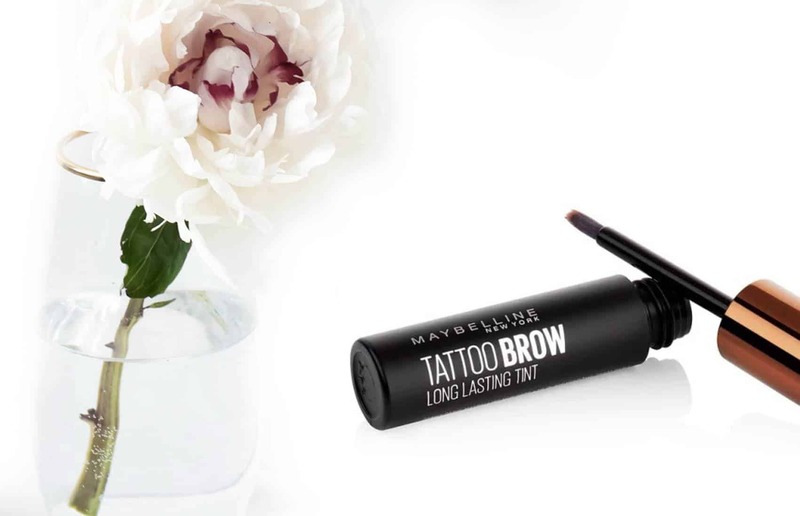 It has good coverage without it looking too heavy, it is extremely lightweight to wear. 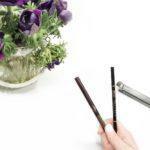 It’s really easy to apply and blends smoothly and seamlessly. The dewy finish is beautiful and it’s really illuminating. Your skin will look amazing with this foundation and what’s more, it won’t settle in any of your cracks or lines. 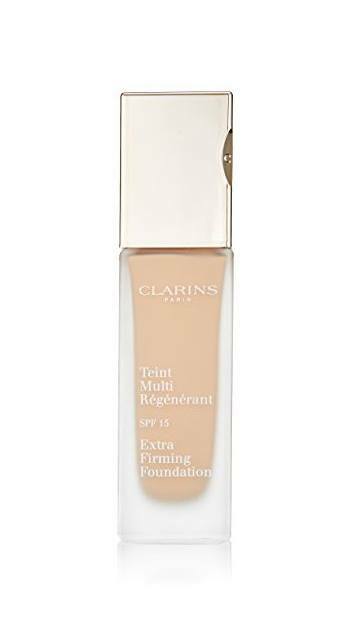 Clarins Extra-Firming Foundation is great for anyone with dry and aging skin. The dewy finish will ensure your skin doesn’t look dry throughout the day. CoverGirl and Olay have collaborated and brought out an amazing anti-ageing foundation. It’s where beauty meets science. If you have always thought that the expensive brands are the ones to bring out the best products then this is the product that will change your mind. The foundation is full of the good stuff including hyaluronic acid and vitamin C. These super ingredients help the foundation not settle in any lines or wrinkles. It is still extremely lightweight to wear and it applies so easily and smoothly. The blending too is a dream. It comes in a little pot. You can take out the foundation either with a brush or your finger, although a finger is easier. I’m generally not such a fan of pots because I find them unhygienic, however, because this foundation is so good and affordable I think it’s worth the hassle of washing your hands each time before using it. The foundation comes with it’s own unique applicator which isn’t as great as the foundation itself. If you want to avoid a heavy cakey look, I recommend skipping the applicator and using a brush or a beauty blender instead. The coverage when using the sponge applicator is a medium to full, however, when using a brush or beauty blender it is light to medium. So yes, definitely skip the applicator and use your own instead. The foundation is very buildable so if you want the full coverage look then it’s easy to achieve with your own applicator. 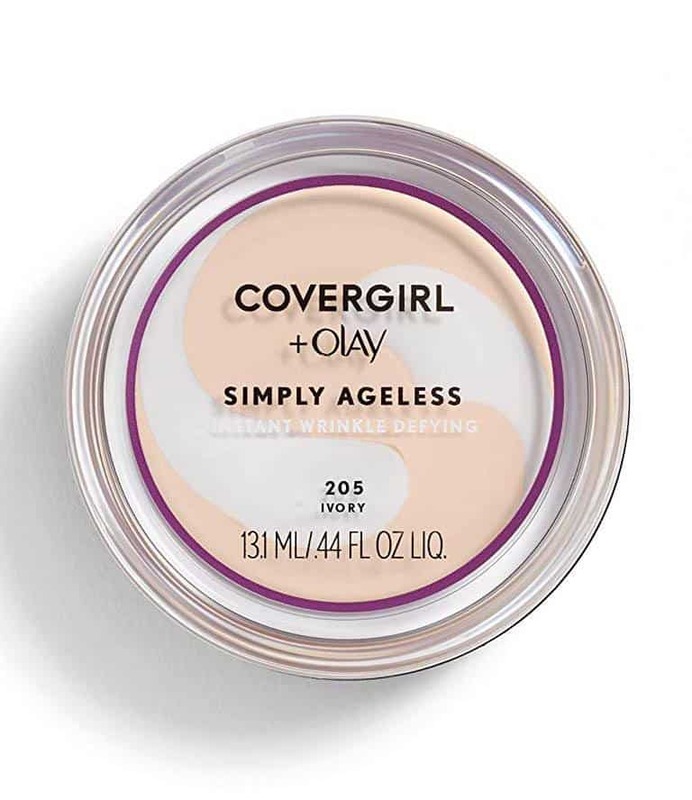 CoverGirl + Olay Simply Ageless Instant Wrinkle Defying Foundation has an SPF 28 and it comes in 12 colours. This is one surprising foundation. It does miracles for mature and sensitive skin, yet it also does miracles for combination and acne prone skin. It is very affordable, a winner for all! Chantecaille Future Skin Foundation is a plant-based foundation which is packed with botanicals like aloe vera, chamomile and green tea. In other words, lots of ingredients to help improve your skin and reduce imperfections and wrinkles. It is also oil-free. The foundation comes in a gel like consistency. That extra thickness helps to protect the skin from any bad chemicals and the like. The coverage is sheer and luminous, is a pleasure to apply. It literally just glides onto the skin. It is really hydtrating and refreshing. The only negative I can think of is the packaging. The foundation is not cheap and the rule is when you spend a lot you expect a lot. So it’s a shame that they didn’t get the packaging right. They should have made it in a bottle with a pump, it’s cleaner and more hygienic than the tub that it’s in. Also the tub is plastic, I think for the price of the foundation it could have been glass. However, despite the packaging the foundation is a dream. It lives up to everything it should and its the real deal when it comes to anti aging. Chantecaille Future Skin Foundation comes in 14 colours. It has a medium coverage yet still feels very lightweight when wearing it. 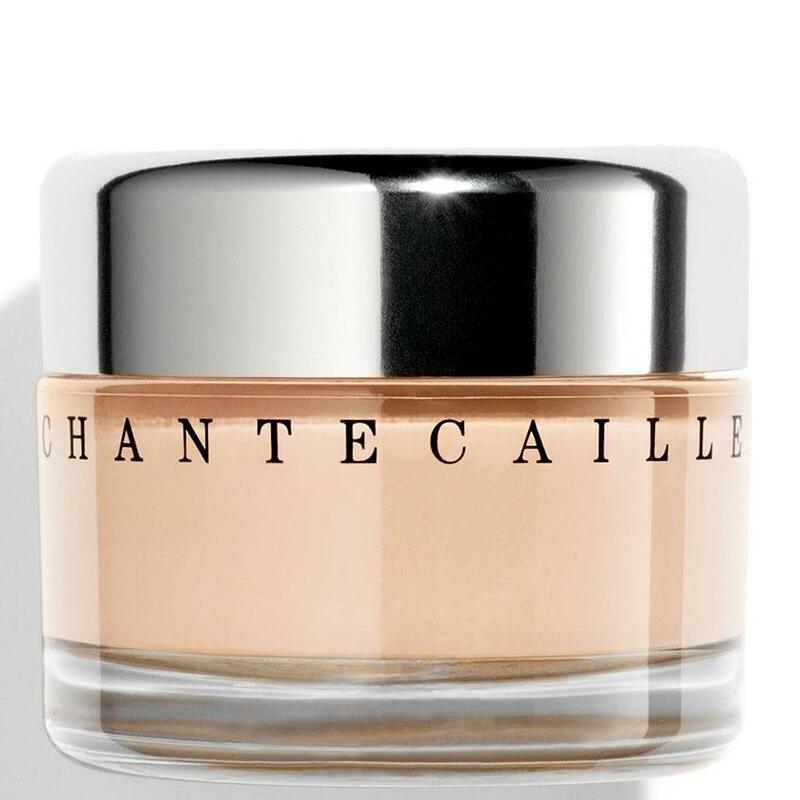 I recommend Chantecaille Future Skin Foundation for anyone with dry or sensitive skin as well as those with aging skin. The foundation covers and smoothes pigmentation, lines and wrinkles. It also adds a ton of hydration! Remember that there’s no one formula that will work for everyone. Everyone’s skin is unique and everyone’s bodies react differently to different products. All the foundations that I have mentioned in this article are good, solid foundations. You just have to find the one that works best for you which by the way can also change with the years as your skin changes. 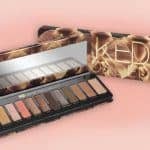 Makeup Monday: The NEW Urban Decay Naked Palette- Naked Reloaded! This sounds so exciting and adventurous. I feel tickled by the theme. What an amazingly talented writer you are! Hi Hollie, I was SO happy to see my foundation on your list! I’ve been using Maybelline New York’s Instant Age Rewind for several years now. I’m fairly happy with it although, I have to say that I’ve not been able to to master applying it with the product’s sponge applicator. I buy the wedge applicator disposable sponges and apply it with that. Thanks so much for the showing us aging ladies a great smorgasbord of the best foundations to try. As I said, I’m fairly happy with it, but I’d like to try that Georgio Armani Designer Lift Foundation. Thanks also, ever-so-much, for letting us know where we can buy these goodies! Maybelline Instant Age Rewind is really good. A lot of people complain that the applicator is a bit fiddly. I’m happy you’ve found a way to make it work. Oh the money I’ve spent over the years looking for the perfect foundation for my very, very less-than-perfect skin! I have extremely sensitive skin and finally discovered a few years back that talc was the culprit causing redness and breakouts! I’m also one looking for a good deal and never felt I could justify spending a lot on foundation then one day I decided to just bite the bullet and give Giorgio Armani a try. Taking a few minutes to recall the amount of money I’ve spent over the years on useless products I felt I didn’t really have much to loose. Well…this turned out to be the best purchase I’ve made and a change I should have made a long time ago! I can’t begin to tell you how excited I was to see you have it listed in your article!!! My first experience with it GA was the “Luminous Silk Foundation”. I thought it was the holy grail of foundation until I tried Designer Lift. Set it with “Micro-fil Loose Powder” and, although I’m almost 60 and STILL have fairly oily skin, this foundation stays in place a looks good until I’m ready to remove it at night. I’m certainly bookmarking your site! 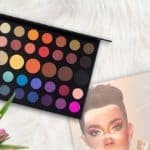 Finally, a great alternative to Sephora reviews! I’m happy you’ve found your foundation match! The Georgio Armani foundations are just lovely! I’m a fan too. Your website is awesome! I really like the layout and your hard work is showcased very well indeed:) Your website is very easy to navigate. I love all of the information that you have in your post about aging skin. I have been looking for something that has a more natural look and feel to it. I believe I am going to check out the Almay Skintone Matching. It sounds just like what I have been looking for. 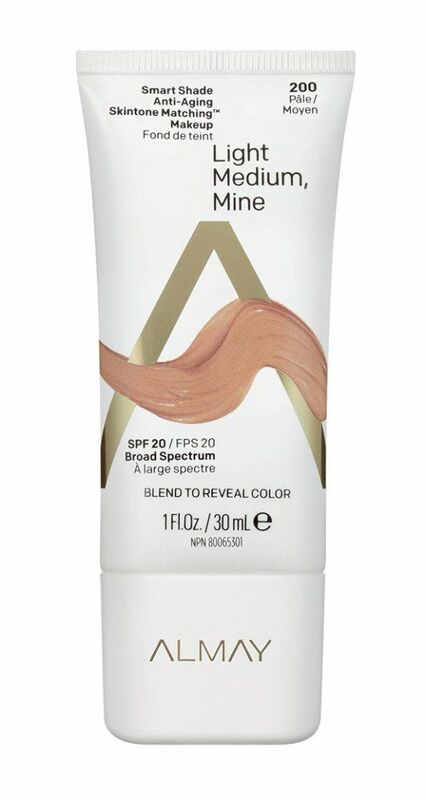 I’m happy you’ve found the foundation for you- Almay Skintone Matching is genius! This is great information! I want to try all of your recommendations, as they are all new to me, although of course I have heard of them, and have tried many of the brands you mention. My favourite at the moment is Decleor Hydra Floral BB cream with SPF 15. It is a tinted moisturiser, but it works so well as a foundation. Many thanks for a really interesting post. I’ve never used that one, have to give it a try! I am always looking for a good foundation. My skin is really sensitive. I’m really excited to try some of these. 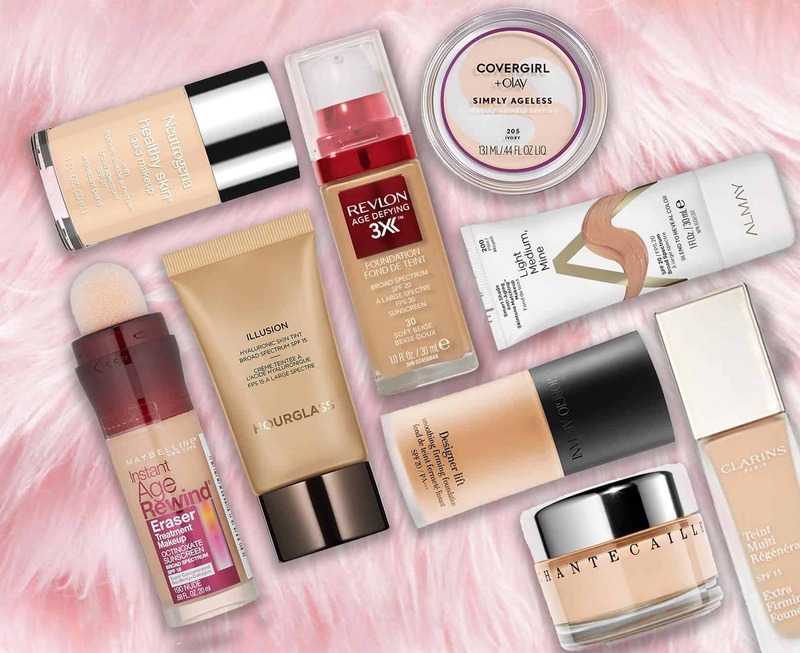 Also mixing your foundation with your moisturizer is freaking genius! I have never even thought to do that before. 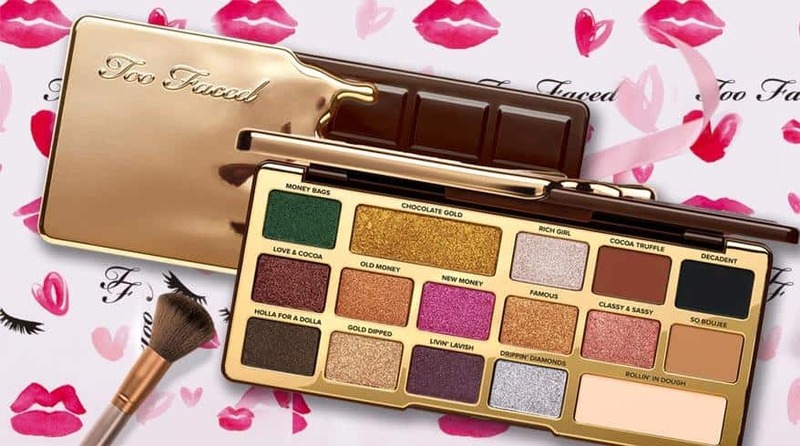 I am really looking forward to reviews and more makeup tips in the future! Keep up the good work! Which one is your favorite? Hmm, that’s a tough one because it depends on the occasion it’s for and the finish I’m after. But if I had to choose it would most probably be the Hourglass Illusion Hyaluronic Skin Tint or the Giorgio Armani Designer Lift.